Heat olive oil in a large saucepan over medium heat. Stir in crushed tomato and puree tomatoes, , Casa d’Erba, Italian seasoning, and. bring the mixture to a boil, reduce heat to low, and cook at a simmer, stirring frequently, for 1 hour. In a large skillet, heat ground beef, olive oil over medium heat until meat is nicely browned; drain. Pour in tomatoes and tomato puree; mix in Casa d’Erba seasonings cooked sausage. Simmer uncovered for 1 hour, stirring occasionally. Mix in a bowl. Make into small round balls. Remove meatballs and scrape bottom of pot with a wooden spoon (this will add flavor). Add 1 can crushed tomatoes and 1 can tomato puree and 1 package of Casa D’Erba Seasoning and meatballs. Reduce heat to simmer and cook for another 1 1/2 hours stirring frequently. Remove and Enjoy! (Be careful as it will be hot). 2- Cut crab meat down to nice bite size use other half of garlic and do same as with shrimp. 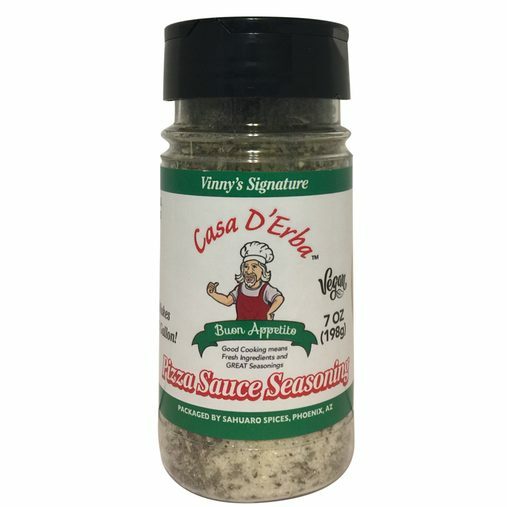 Cut into slices and sever with small cup filled with Casa D’Erba sauce. Prep mixer bowl with rinse of warm water ,add water then yeast. Let yeast activate few minutes then add salt, then sugar, then oil. After that mixes then add the flour & mix for 8 to 10 minutes. For the best results when mixing pizza dough,I found that the best mixer is the Bosch Universal Plus 800 watts. I used 2 other mixers before I bought the Bosch.It works great! place on sheet pan put in oven. Since all oven temps vary allow 20 to 30 mins. or until crisp. Flip potatoes after 10 mins. 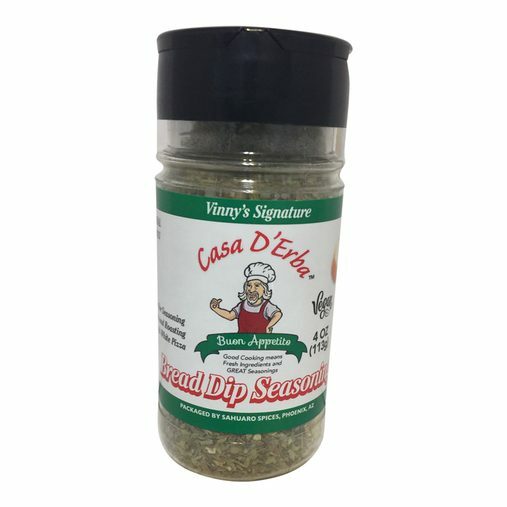 1 tbsp of either bread dip or salad dressing seasoning. Heat a frying pan over medium heat, add Salami cook until Crisp . In a large skillet heat pizza sauce over medium. Cook 5 to 7 minutes or until sauce is thickened stirring occasionally, then set and aside. Heat oven to 375 degrees F Grease 8-inch square baking dish. In a large skillet, cook pepperoni over medium heat for 5 minutes or until lightly browned. Drain on paper towel. In medium bowl combine cream cheese, ricotta cheese, parmesan cheese. Spread evenly into bottom of bowl. Spread pizza sauce evenly over cheese mixture. Top with pepperoni and mozzarella cheese. Bake, uncovered, 15 to 20 minutes or until cheese is melted and bubbling. Heat 3 tbsp. olive oil in large skillet over the stove top at medium-high heat. Add the shrimp and sauté for about 1 minute, toss and continue cooking about 1 to 2 more minutes (until cooked through)Transfer shrimp. to large plate and set aside. Add onion to the same skillet adding 1 to 2 tbsp. olive oil to pan sauté until translucent (about 5 minutes). Add tomatoes with juices and wine, simmer until the sauce thickens lightly (about 10 minutes). Return shrimp and any juices that was left over to tomato mixture toss and cook for 1 minute so flavors meld together and serve. Melt butter in a sheet pan and layer lemon slices on top of melted butter. 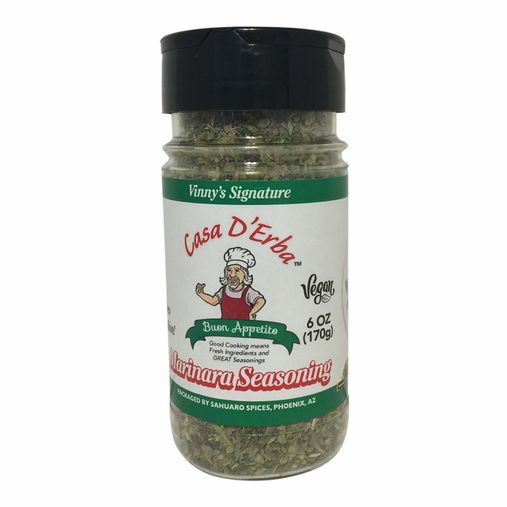 place shrimp over lemon slices and sprinkle Casa d’ Erba Bread Dip seasoning. Follow Casa d’Erba on facebook we post recipes and helpful hints.